Lounge in transitional style with the Sunk Chair by Zuo. Featuring a collapsible base, you can easily move it or store it away when not in use. 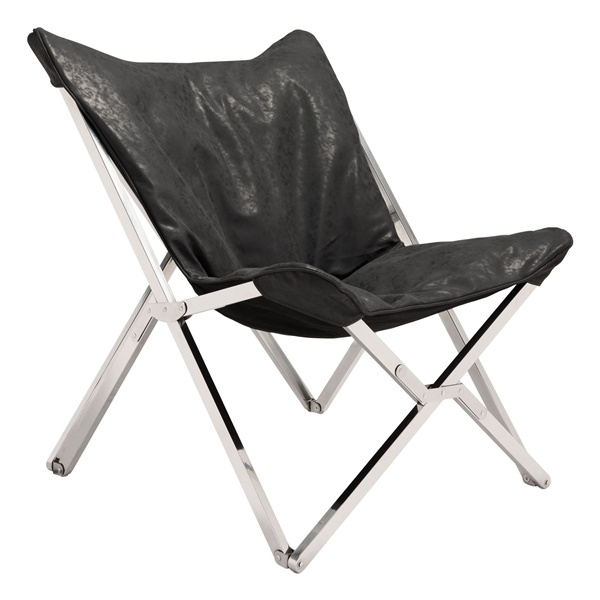 A soft black leatherette is draped over a sturdy stainless steel base to create a unique modern seating option.